The 11th Assembly of the European Association of Cultural Researchers (ECURES) will be held on 12 and 13th November at Poland. 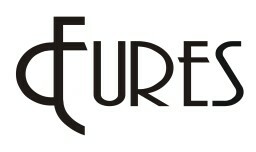 ECURES is an international association of scholars and experts specialising in cultural research. The members of the Association come from over 30 countries in Europe, North America, Asia and Australia; they represent a broad range of academic disciplines. ECURES is committed to pioneering the development of theoretical and applied cultural research as a recognized professional field and to facilitating the free exchange of scientific ideas and resources. It cooperates closely with the European Institute for Comparative Cultural Research (ERICarts) and the Council of Europe/ERICarts “Compendium of Cultural Policies & Trends in Europe”. Preceding the annual Compendium of Cultural Policies and Trends in Euro event, the 11th Assembly of the European Association of Cultural Researchers (ECURES) also will be held on 12th and 13th November at Wroclaw Poland. A new Board will be elected to discuss some important points in the wider framework of the city’s role as European Capital of Culture 2016. With its focus on a human rights approach to cultural policies, including issues such as equal access to the arts and heritage and related tasks of democratic policy making to assure participation of all population groups, the event contributes to the follow-up of the 2013 Council of Europe Conference of Ministers of Culture (Moscow). In addition, it confirms Recommendation 1990 of the Parliamentary Assembly of the Council of Europe on “The right of everyone to take part in cultural life”, where this right has been identified as “pivotal to the system of human rights” (January 2012).